LAVA Mobiles, one of the fastest growing mobile handset brands, adds one more feather in its cap by launching KKT 39. An Entertainment Phone which truly redefines the gaming and music experience. The all new KKT 39 is bound to captivate your eyes with its sleek and elegant design. The stylish metallic device is not just great on looks but has loads of features to back. Let’s have a close look at KKT 39.KKT 39 offers excellent music experience owing to its surround sound system and the Yamaha PA speakers. 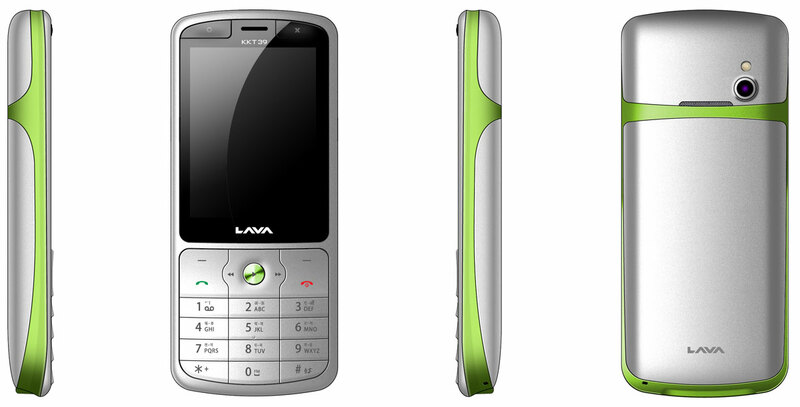 Lava KTT 39 has the best in the class multimedia features that come alive on an extra bright 2.4” QVGA screen. And the entertainment continues with the inbuilt range of 15 pre-installed mobile games, slated to make you stick to your ‘Lava’ from the moment you own it.To keep you going, KKT 39 comes with a powerful battery of 1400mAh which won’t turn you down while you are on the go for entertainment. What come as bonus are the 1.3 MP VGA Camera and a 2 GB memory card. A serious player in the market, Lava has invested heavily in their state of the art research and development centre at Bangalore. The company aims to become a serious contender in the mobile handset business taking on multinational brands like Nokia and Samsung.If you are a gadget lover looking for an entertainment experience, this phone suffices all your needs, without causing damage to your pocket. This phone is an ideal gift for your dear ones this festive season. It comes with a big bang but with small price tag of just Rs. 3150/-And I must say it is one of the best option available in its range for the youth. SO I guess you’ll definitely love it ! !